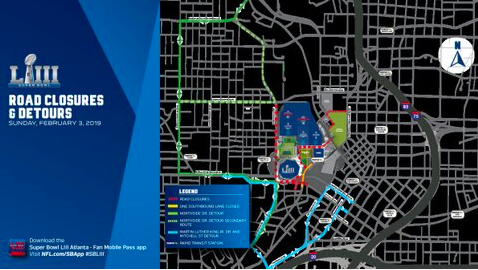 Super Bowl Road Closures in Midtown and Downtown - GibsonBreen & Co.
Road closures will begin Monday, Jan. 21, and will continue and expand all the way through Game Day. 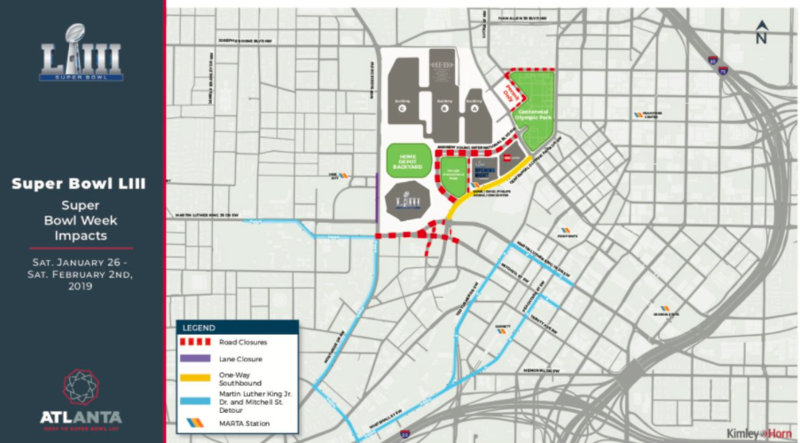 ATLANTA, GA — Midtown and downtown thoroughfares will be hardest hit when the city begins closing roads ahead of Super Bowl LIII at Mercedes-Benz Stadium in Atlanta on Feb. 3, 2019. 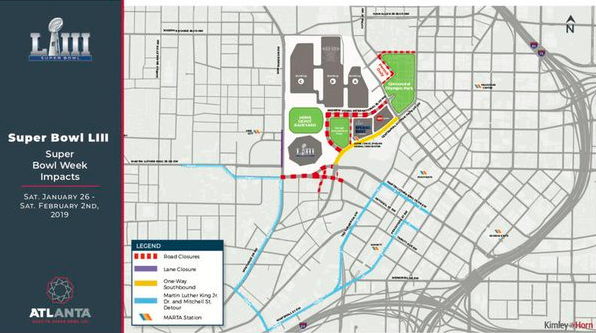 Some roads will be closed beginning Monday, Jan. 21, and some will be closed for several days after the game, through Friday, Feb. 8. 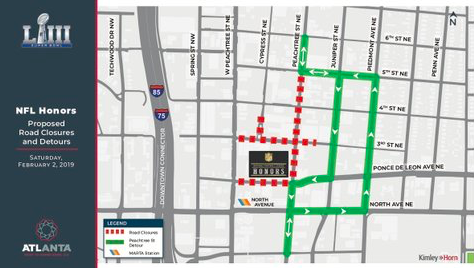 There will be a full closure of Ponce De Leon Avenue and 3rd Street between West Peachtree and Peachtree.